Malcolm Foy Marrs entered into peace on July 24, 2018 at Brethren Village Retirement Community in Lancaster PA. Mac was born in Texas near San Antonio on December 2, 1926 to Reginald and Bettie Marrs. He was the last surviving sibling. Mac proved his dedication to his country by earning his place in the U.S. Marine Corp during World War II and later joining the Army Corps of Engineers during the Korean War. In between his times of service, Mac graduated from Carnegie Tech (now Carnegie Mellon University). It was during this time in college that he met the love of his life, Sara Jane Carson. The couple married on December 22, 1952 and had four children. They were devoted to each other for 52 years until Sara’s death in 2004. He was a wonderful man and actively supported his family through major events and celebrated their accomplishments. Mac had a successful career with ALCOA holding multiple senior engineering and management positions in Indiana and Pennsylvania. He was an active member in ASME. Always an engineer at heart, he enjoyed electronics, auto repair, trains, woodworking and brain teaser puzzles. 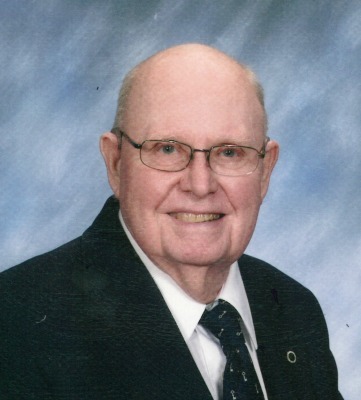 He was an active member at Highland Presbyterian Church in Lancaster, serving as a deacon and head usher for many years. After retirement he spent his summers at the family cottage in Chautauqua, NY enjoying his family. He will be lovingly missed by 4 children, Thomas (Lisa) Marrs of Harrisburg PA, Robert Marrs of Miami FL, Sara Royer (Lynn) of Elizabethtown PA and Jane Roda (Michael) of Columbia PA, 14 grandchildren and 4 great grandchildren. Visitation will be held at Highland Presbyterian Church, on Thursday August 9th at 9:30am, Memorial Service will begin at 11AM followed by a private internment. I knew Malcolm as my friend Jane’s Dad, who always had a twinkle in his eye and extra house-room for college friends of his kids. What a delightful man, with a heart of gold! My heartfelt condolences to his family, knowing how much he will be missed. One of the greatest man I knew! Rest In Peace Mac, granddad, grandpa. You will be missed dearly! Malcolm’s Texas cousins regret to learn that he has gone to his well deserved rest. He was part of the greatest Generation and honored the country he loved by his service and devotion to his family. I am deeply sorry for your family’s loss of Malcolm. May you find comfort in the many precious memories you shared as well as Gods promise to restore our dear loved ones to perfect life on a paradise earth. ( Psalm 37:29- Revelation 21:3,4) As you contemplate this beautiful promise, draw close to God in prayer and he will draw close to you and provide the needed strength to carry you through the difficult days ahead. ( James 4:8) All the best wishes for your family at this time, take care. My prayers are for Sara Jane Tom and Bob and all Mac’s grandchildren and great grandchildren. I always enjoyed visits with Mac and know he loved time with his family. Wish I could be there for his memorial service. May God hold you al” in His arms as Malcolm is welcomed into God ‘s eternal kingdom! What peace and serenity he has earned. Blessings and love as you mourn his presence. Our prayers of comfort and love are with you at this time.